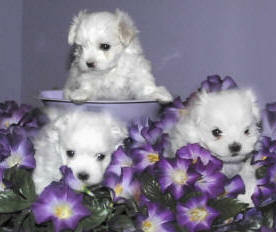 Maltese Dog and Puppy Size/Weight...does it matter?? Does size really matter? It definitely does if you are a Great Dane that is the size of a Chihuahua, or worse yet a Chihuahua the size of a Great Dane! It is important to remember that each breed has certain characteristics, traits, and size which make a dog a good representative of whatever breed it is supposed to be. 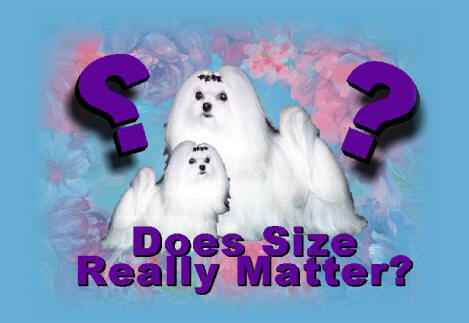 So does the size of your Maltese really matter? Of course it does! 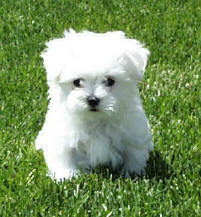 The American Kennel Club standard for Maltese says 7 pounds and under with 4 pounds to 6 pounds preferred. So where do the 10 - 15 pound supposedly purebred Maltese come from? As with all physical characteristics size comes from genetics. Mother Nature truly loves to play tricks on us sometimes, but sadly, chances are that many of the larger Maltese are not purebred Maltese. It is a well known fact that some disreputable breeders are actually mixing Maltese with such breeds as Bichon Frise to produce larger litters, which in turn produces more puppies and consequently more profit for the disreputable breeder. 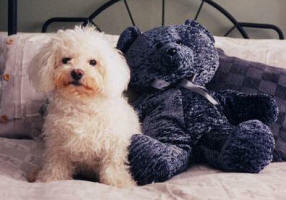 An average adult size for a well bred Bichon Frise is 12 to 16 pounds. This likely is a huge reason why there are so many larger, possibly curly/wavy haired, longer muzzled “Maltese” out there. In the past, before DNA testing, it was very hard to prove or disprove the parentage of the sire and the dam of a litter of puppies. Therefore the disreputable breeder could use any combination of breeds such as a Maltese and a Bichon Frise to register the litter as purebred "whatever the breeder wanted" as long as the breeder had registration papers for a sire and a dam of whatever breed the breeder wanted to register. No one could prove otherwise. The true parentage of a litter of puppies is still very hard to prove in untested dogs. The AKC DNA program was implemented to ensure the accuracy of the AKC stud books, and it was also the cause of a mass exodus of commercial breeders from the AKC Registry who in turn started registering their puppies in one or more of the many new registries that seemed to pop up overnight. Simply put....they did not want to prove the parentage of the dogs they were breeding as was required by the newly implemented AKC DNA program. A big red flag in the United States is a dog that is registered with any other registry other than the AKC. 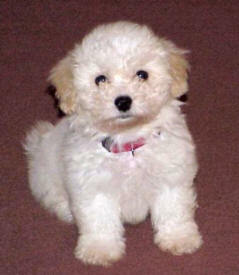 The reason that so many disreputable breeders chose the Bichon Frise to mix with Maltese is easily apparent when comparing pictures of Maltese puppies to Bichon Frise puppies. Below are comparative pictures of a one day old Bichon Frise puppy litter compared to a one day old Maltese puppy litter……as you can see there is a very minute difference in the appearance of the two litters. 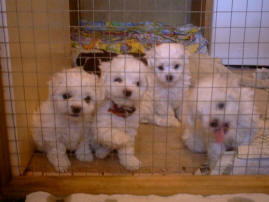 What is noticeable at this point is the bit of wave in the Bichon Frise puppies coats but not much else. At five weeks old in the above pictures there still does not look to be a lot of difference in the puppies other than in size. By eight or nine weeks old there should be some definite differences in size, overall look, and coat texture. An average sized 8 week old Maltese puppy is 2 pounds or less; an average sized 8 week old Bishon Frise puppy should weigh around 4 to 5 pounds. Three of the most obvious differences between a Bichon Frise and a Maltese after they start getting older and into adulthood are a difference in coat texture, a difference in size, and a difference in head structure. We have already mentioned above that an adult Bishon Frise will weigh between 12 and 16 pounds, whereas an adult Maltese should weigh around 7 pounds or under. There is a huge difference between 16 pounds and 7 pounds. Let's now compare the two coat textures which you cannot do without knowing what each of the coat textures are supposed to be. As you can see from the above coat standards a Bichon will have a curly coarser feel to the outer coat and a soft dense undercoat, whereas a Maltese is supposed to have a silky coat that hangs next to the body with no undercoat whatsoever. This particular aspect of the difference in coat texture is sometimes a little hard to see in young puppies but a knowledgeable eye will be able to see the difference. Even in a puppy coat, a Maltese puppy should not have coarse, curly, or excessively wavy hair. There should be a "shine" to it that is lacking on a cotton coat or incorrect coat texture. A correct silky coat on an adult Maltese will feel cool to the touch. The proper head structure of a Bichon Frise is three parts muzzle to five parts skull. This type of muzzle is gorgeous on a correct Bichon Frise but it is definitely way to much muzzle and is incorrect for a Maltese and does not give the desired expression that is so much a part of the Maltese breed. So if you are looking for and/or paying for a Maltese, then, in fact, you should get a Maltese that is as close to the breed standard as possible. As I said earlier, mother nature can (and does) play tricks on even the most dedicated and reputable breeders every now and then, which can result in a larger than normal Maltese or conversely, Maltese that are under the 4 pound preferred weigh. 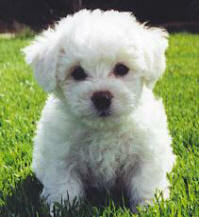 Irregardless, it should still look like a Maltese with all of the standard Maltese traits. 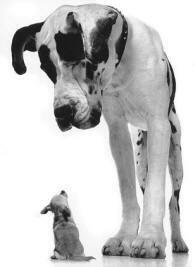 A reputable breeder is going to be honest with you about the potential size that any puppy may end up being. They are not going to tell you that a particular puppy is going to be tiny, teacup, micro-mini, toy, or any other glitzy term and then you find out, after you have grown attached to your puppy, that it is going to be over the 7 pound standard or, heaven forbid, 10 to 15 pounds. 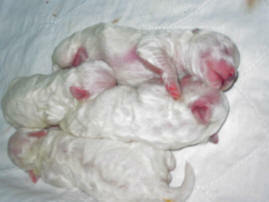 looking for a purebred Maltese???? 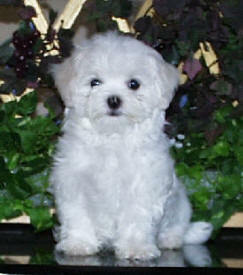 Why does a Maltese puppy need to be 12 weeks old before going to a new home? ?